Just in time for Mother’s Day! Piglets Boutique Competition! I have had the lucky opportunity to collaborate with Piglets Boutique, a stunning online shop selling beautifully stylish and uniquely gorgeous baby gifts, in running a competition in time for Mothers’ Day! The best part about Piglet Boutique is that although you are buying online you get a personal and traditional service, as if you bought over the counter. You can find and look at the beautiful goodies at Piglets Boutique. Emma has now created Piglets Boutique, a place where people can shop in the safe knowledge that they will be looked after. Emma is offering one lucky winner the chance to win this gorgeous red wooden heart decoration which says best Mum, which is handmade and decorated. This would look beautiful in any room. 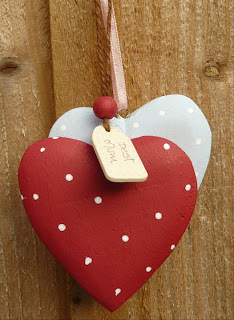 Plus she is also giving away the delightful wooden peg fridge magnets, also handmade and decorated. You can imagine using these to hang one of your little ones master pieces or to hold a treasured photo! Good luck! Closing date is 23rd March 2011 at Midnight . The winner will be drawn by random on 24th March 2011. I will then contact you if you are the lucky winner. 169 comments to Just in time for Mother’s Day! Piglets Boutique Competition! What a gorgeous giveaway, thank you so much. I'm following the blog via Google Friends, love the Conning the babysitter post. I am that mean mummy who also did the sing rhymes to allay fears! Tweeted here, thanks for all the entry opportunities. I have done all the following…. I follow Piglets Boutique on Facebook already. And I follow @PigletsBoutique on twitter. And finally I've tweeted the message! I´m following your blog on gfc as Nicola B.
I´m following @MultipleMummy on Twitter. My twitter id is @heylinguine. Thanks! 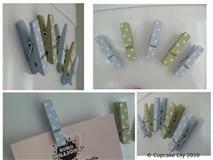 Got my fingers crossed – I really want those cute pegs!